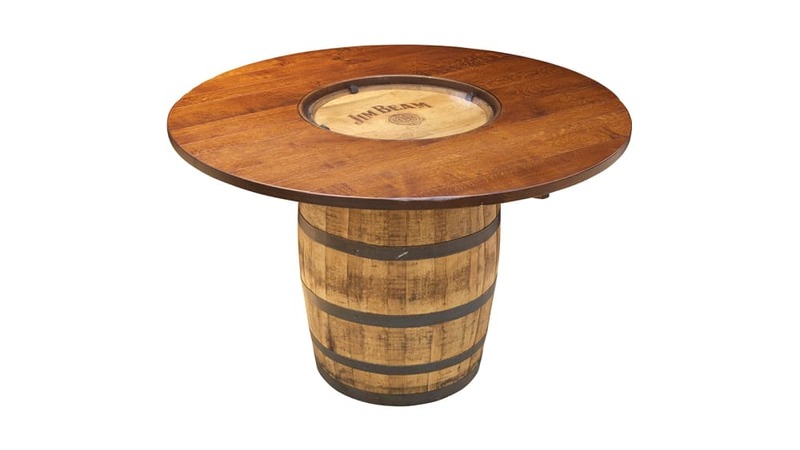 Make a statement in your home with the JB Single Barrel Table! This beautiful and handcrafted piece is perfect for every social gathering, adding a great conversation piece and one of a kind style! Enjoy your next poker night on an authentic whiskey barrel and a premium sold wood tabletop. Gallery Furniture can deliver TODAY!